Having a clean property is must for every family. That’s why My Magic Cleaners can offer reliable and affordable cleaning service created for the needs of every client. Domestic cleaning on a regular basis is most popular service and keeps your home always in top condition, but if you want to clean your home before or after party you can relay on our one off cleaning service. 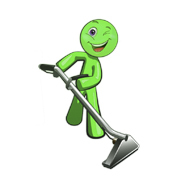 Our stuff are trained and experienced cleaners. They are fully insured and CRB checked so you don’t need to worry for your possessions. We have hourly based rates tailored for your needs because we are flexible and working seven days a week.